Nutritional labeling helps consumers make healthier choices regarding food product purchases. In this study, we examined the difference between immigrants from the former Soviet Union who emigrated to Israel beginning in 1990 (IIFSU) and the general population of Israel regarding food consumption broadly and the use of nutritional labeling specifically. A representative sample of each population (n = 592) was composed and interviewed. According to the findings, compared to the general population, the IIFSU attribute less importance to health factors in purchasing food products and information about the ingredients contained in food products; they tend not to follow nutritional labels; and report less on the need for nutritional integrative labeling. Following from this, in the second part of the study, we investigated which of the socio-economic variables is most dominant in shaping attitudes towards food consumption and nutritional labeling. Only immigration and age were found in correlation with attitudes related to healthy food consumption. In contrast, gender, education and religious observance did not affect food selection. Immigration was recognized as the main factor with more clout than the other variables. 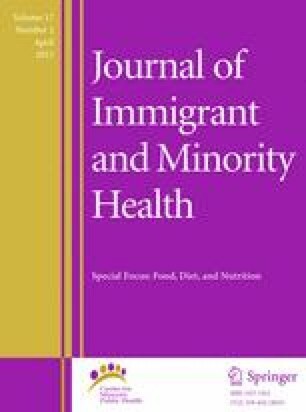 In conclusion, it is crucial to clarify immigrants’ perceptions of the concept of “health” and “proper nutrition” in formulating health promotion programs. The reserach was funded by Choices Israel Organization. Application was made to the Faculty of Social Welfare and Health Sciences Ethics Committee for research with human subjects at Haifa University and full ethical approval (no. 098/11) was granted.